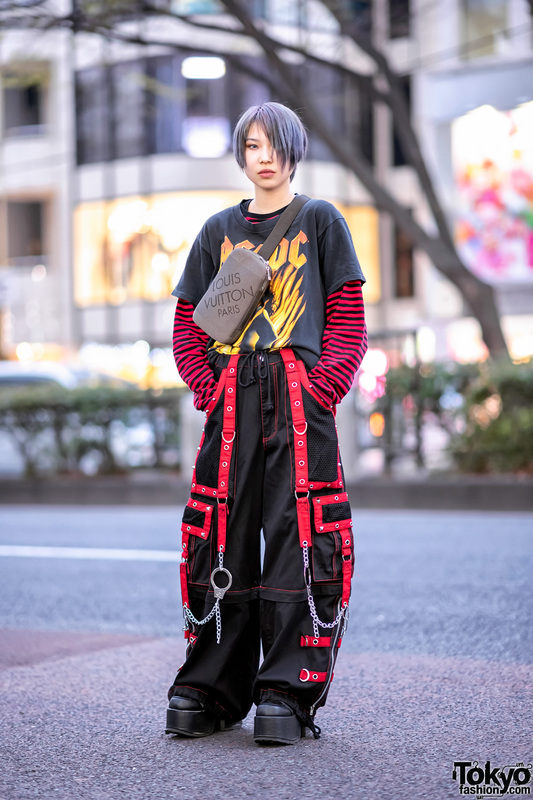 Here’s Misa, a 21-year-old fashion college student whose gothic monochrome streetwear style easily caught our eye on the Harajuku street. Sporting long blonde hair with fringes, Misa stepped out wearing a white Boujee tank top from Forever21, tucked into black patent leather pants from UNIF. 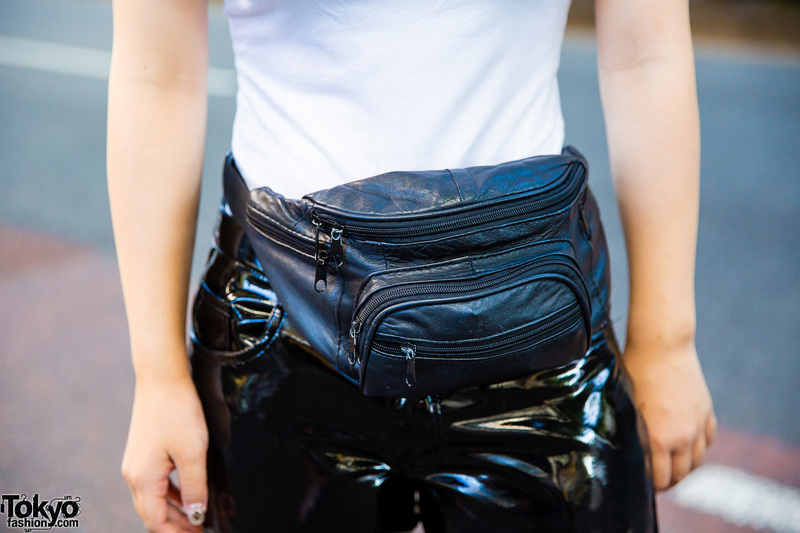 Platform patent leather shoes, and a black leather waist bag completed her outfit. 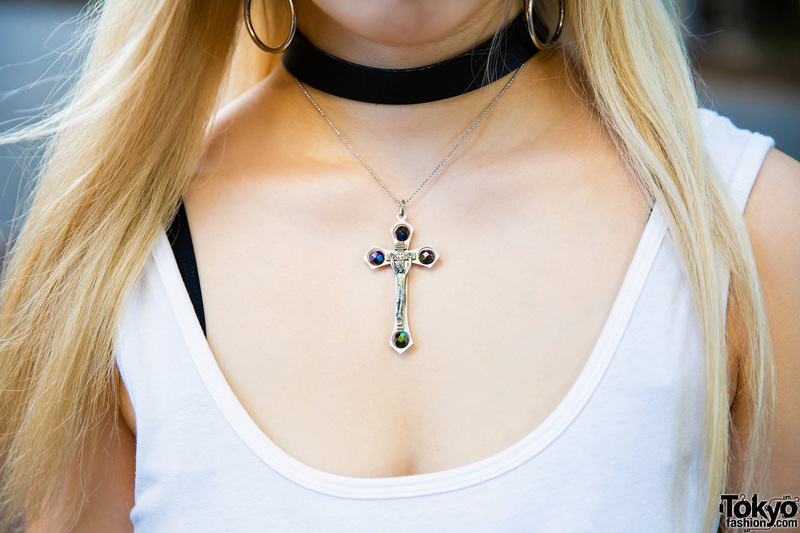 Statement hoop earrings from MYOB NYC, a silver nose ring and a black leather choker layered with a cross pendant necklace from Amijed, along with her gothic cat eye makeup and black lipstick, are the finishing touches to Misa’s edgy style. Also, check out her awesome jeweled nail art! Misa lists MYOB NYC and I.Am.Gia as her fashion favorites, and she likes the music of Sum41, The Weeknd, and Yurufuwa Gang. 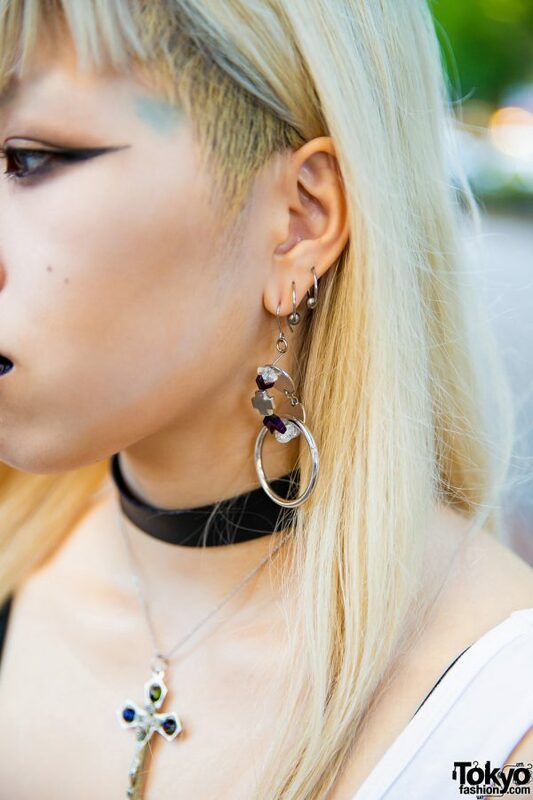 Follow Misa’s style feed on Instagram.